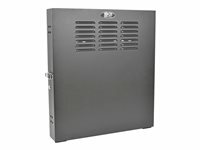 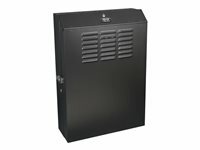 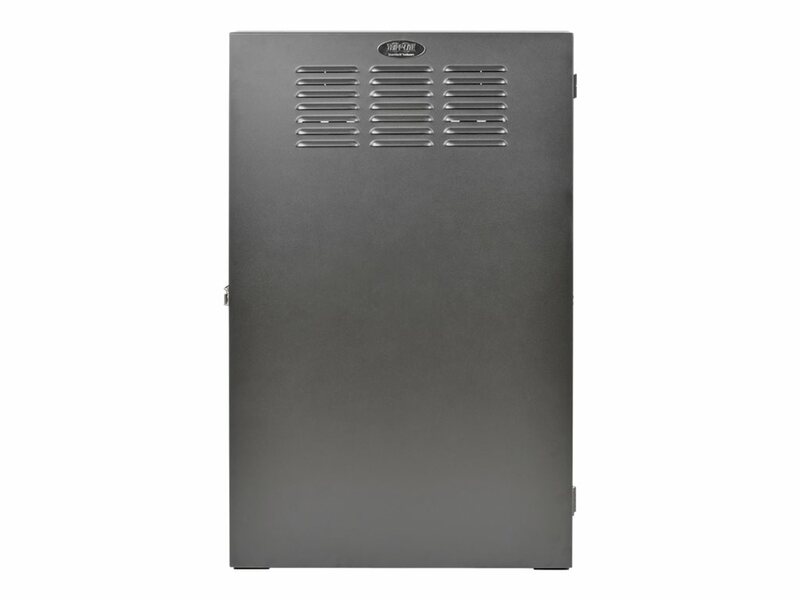 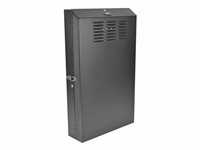 The SRWF2U36 SmartRack 2U Low-Profile Vertical-Mount Server-Depth Wall-Mount Rack Enclosure Cabinet is designed to house EIA-standard 19-inch rack equipment in network wiring closets, retail locations, classrooms, back offices and other areas with limited floor space where you need equipment to be secure, organized and out of the way. 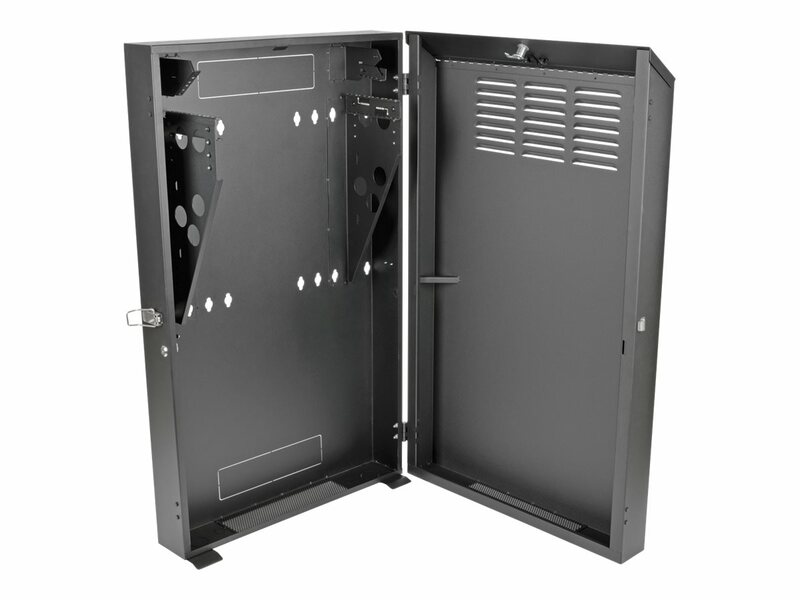 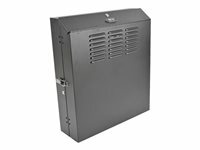 Constructed from heavy-duty steel with a durable black powder-coated finish, the cabinet has a maximum load capacity of 150 pounds. 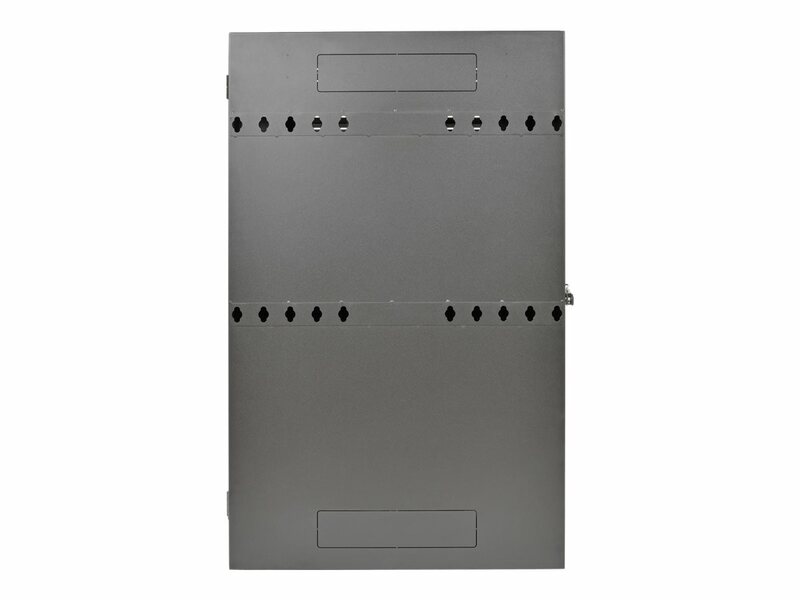 Because the low-profile cabinet mounts vertically, it extends less than five inches from the wall while housing equipment up to 36 inches deep, including 1U servers, UPS systems, battery packs and switches. 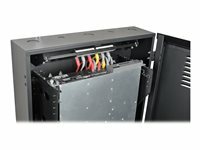 In addition to 2U of rack space in the primary mounting area, it also includes a slide-out 1U mounting bracket at the top of the enclosure for patch panels up to 2.5 inches deep. 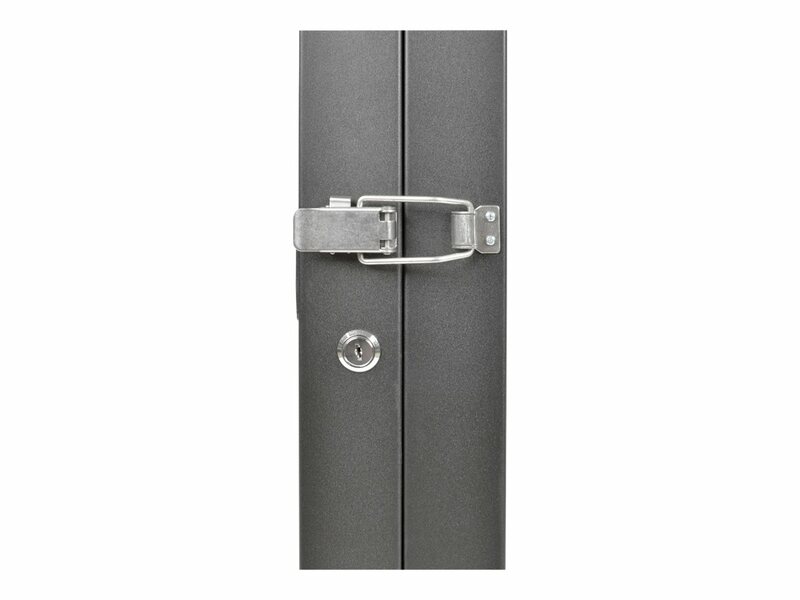 The front door locks securely to help prevent damage, tampering or theft. The cabinet is vented, which allows air to flow freely and keep equipment cool. 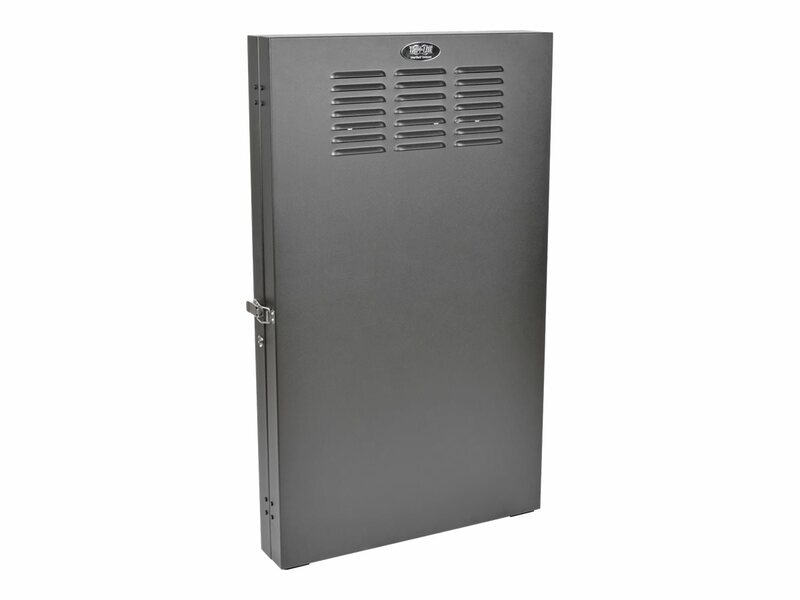 The reversible front door can open left or right. 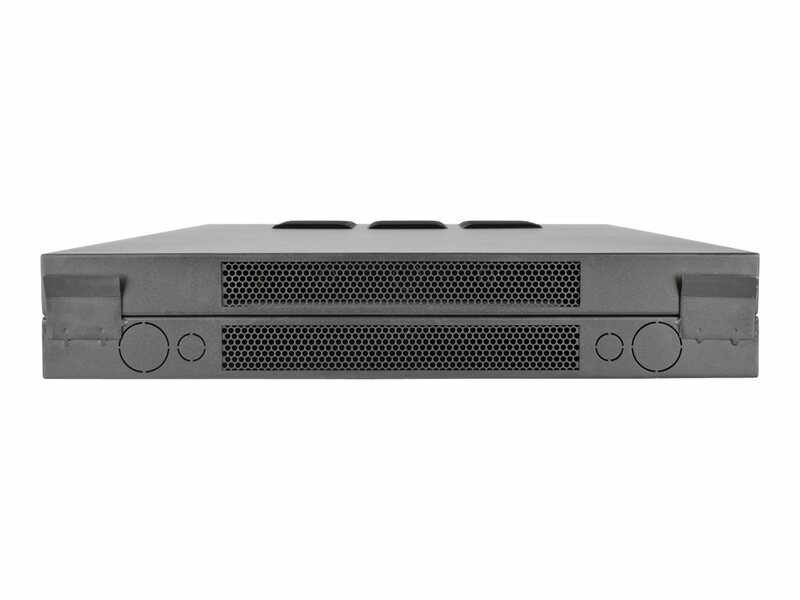 Convenient top and bottom ports allow easy cable routing. 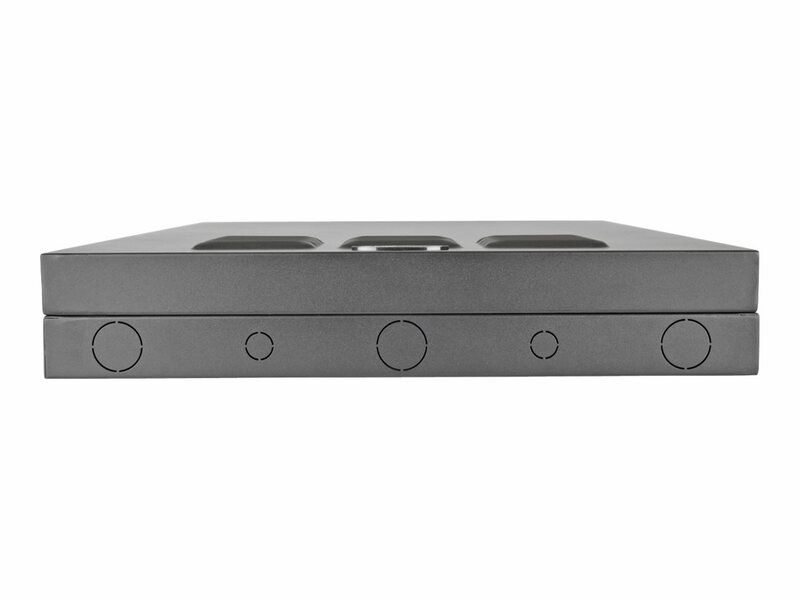 The SRWF2U36 comes fully assembled and ready to mount to the wall. 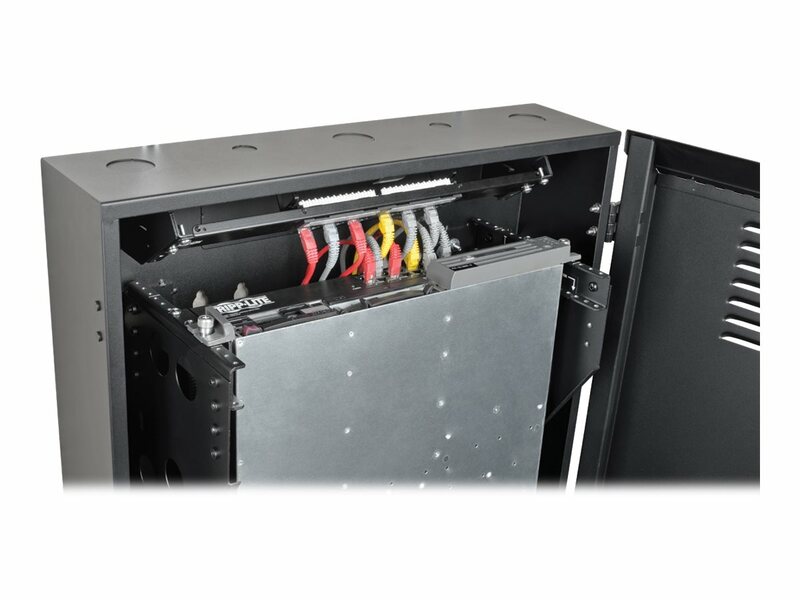 Equipment installation is easy with threaded mounting holes and hardware that support M6 or 12-24 mounting.